Hello again! The first update of the 5coins has been released today. 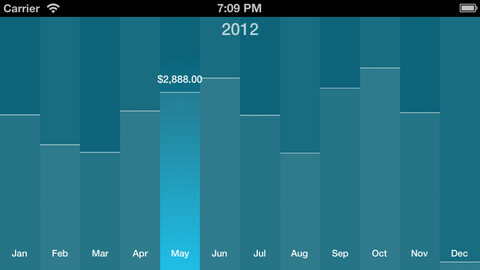 The major change is a bar chart that shows the expense trends though out the whole year. To show the chart is quite easy, just rotate your iPhone/iPod in the list view. That’s it. Hope you like this new feature.